A new study in a journal of the American Association for Cancer Research challenges the notion that alcohol consumption alone is a major risk factor for breast cancer in postmenopausal women. The study found a 60 percent greater risk for women who drink while undergoing hormone replacement therapy compared with women who drink alcohol responsibly, defined in this study as roughly one drink per day, and who aren't on hormone replacement. Wine Spectator's Jacob Gaffney reports. 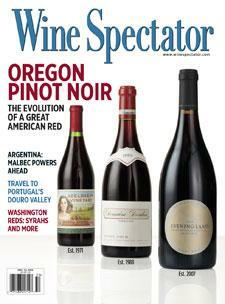 For the full article, check out the new issue of Wine Spectator, on newsstands November 20, 2012.